The particle size of Reef-roids is around 150-200 microns. This is THE perfect size for Goniopora to feed on. When using Reefroids, you will notice excellent polyp extension on all filter feeding corals. Zoanthids, Mushrooms and Ricordia will demonstrate a distinct feeding response. And with continued use, your filter feeding corals will experience faster growth and better colors. 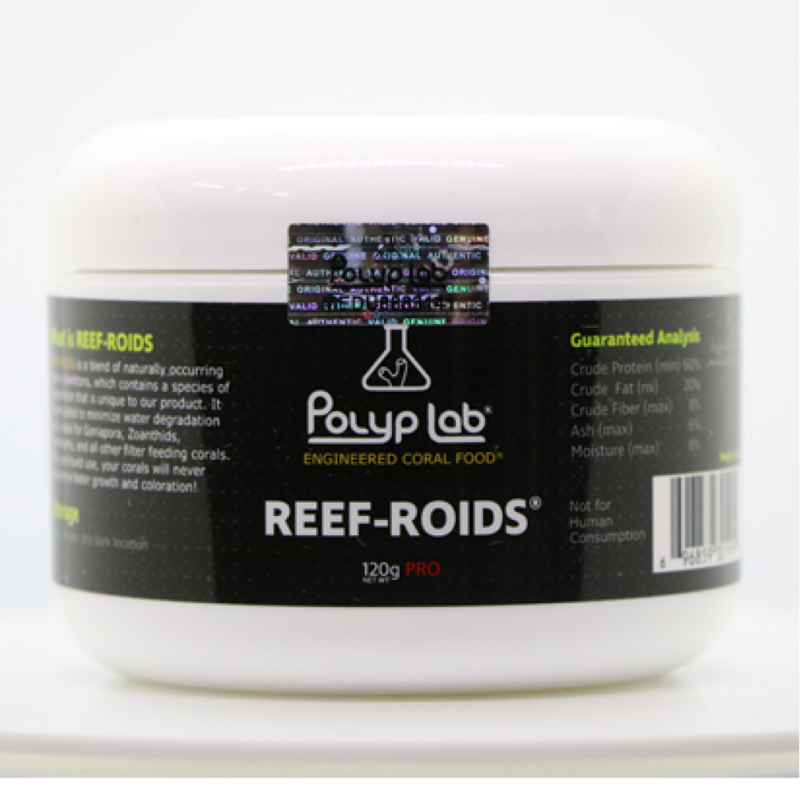 Ingredients: Unlike many other "coral foods" on the market, Reef-roids is NOT made with processed fish meals or other ingredients that can rapidly degrade water quality. Reef-Roids is a mixture of naturally occurring marine plankton including a specific species of zooplankton that is unique to our product.